The Hawkeye on Safety annual conference provides life-saving health and safety information to Iowa workers from all industries, with a particular emphasis on facilities management and the building trades. We also offer the key networking opportunities that you need to keep current in occupational safety standards and trends. This conference is intended for health and safety professionals, construction professionals (electrical, plumbing, roofing, carpentry, masonry, etc), project/facility personnel, HR professionals, general industry, medical professionals, and anyone looking for CEUs in health and safety. Like other conferences, we provide essential training to the managers responsible for workplace health and safety. But we also have a unique focus on providing practical training to rank-and-file workers, so that they can become safety leaders in their workplaces and communities. The conference planning committee works hard to keep the cost of attending the conference low in order to allow as many people as possible to attend. This is only possible because of the support of the community leaders who sponsor our program. 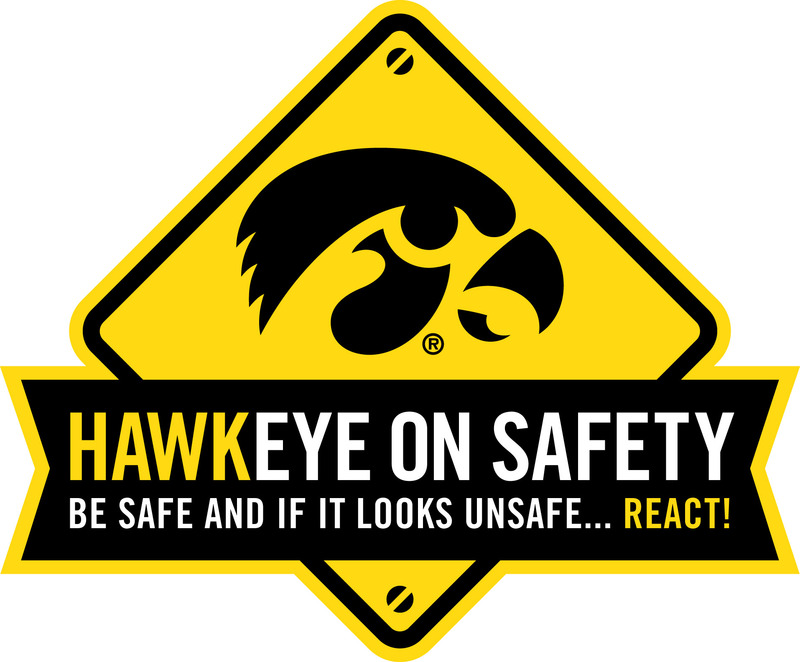 If you’re interested in sponsoring Hawkeye on Safety in 2019, please register online or call the Center for Conferences at 319-335-4141 once registration opens. If you have any questions, please email Tammi Goerdt (tammi-goerdt@uiowa.edu). Registration for participants will open soon. The next conference will be held on September 26, 2019 in the Coralville Marriott Hotel & Conference Center. We hope you’ll join us there. Hawkeye on Safety is coordinated by the Heartland Center for Occupational Health & Safety in partnership with University of Iowa Facilities Management and a planning committee consisting of representatives from organized labor and private industry. The Heartland Center provides graduate training, continuing education and outreach in the area of occupational health and safety. Located in the University of Iowa’s College of Public Health, it is a NIOSH-funded Education and Research Center serving Iowa, Kansas, Missouri and Nebraska. You can learn more about the Heartland center at our website.